We've recently added support for external bluetooth GPS receivers for Windows device. Step by step instructions, details, supported device are available at the following page on our website. We have tested on a variety of devices incl. 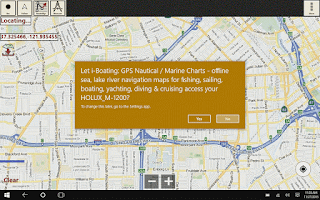 using an Android phone as bluetooth GPS provide for a Toshiba laptop running Windows 8.1. Please do verify with your bluetooth device to be sure that it works.